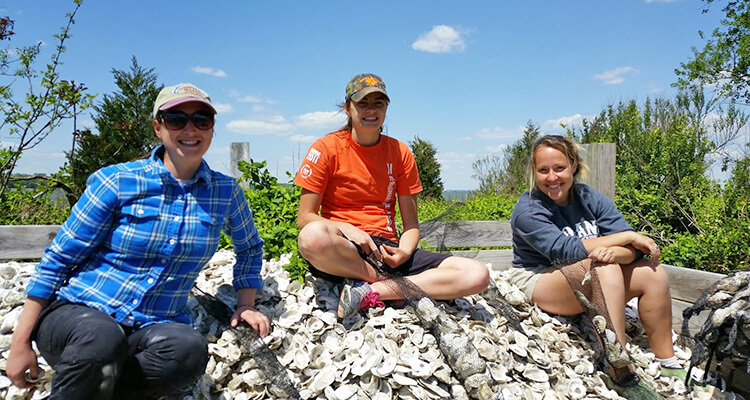 Watch this page for more ways you can get involved with the Chesapeake Oyster Alliance and our efforts to add 10 billion oysters to the Bay by 2025. Get on board with our coalition of non-profits, community organizations, oyster growers, and others. Recycle your empty oyster shells. Return your shells at several drop off locations around the Bay, and they'll be reused to help grow juvenile oysters. Eat locally grown oysters, recycle your empty oyster shells, and more. See five things you can do to help add 10 BILLION new oysters to the Chesapeake Bay.